It was only a year and a half ago that I was planning my own wedding, now one of my best friends is engaged and the poor girl is going crazy trying to find balance amidst all the juggling that wedding planning demands. 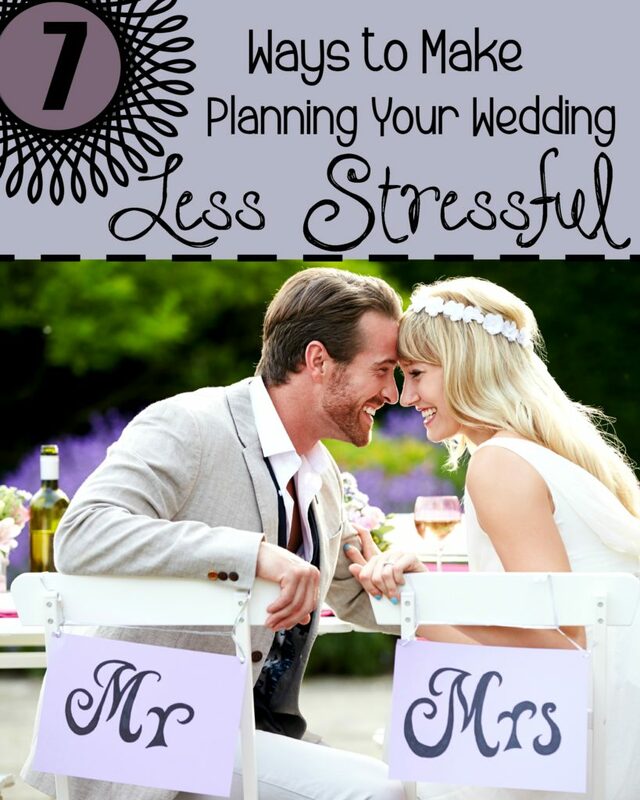 She’s the inspiration behind this particular post: 7 Ways to Make Wedding Planning Less Stressful! Weddings add up SO fast and if you’re anything like me, you want to make it as cheap as possible while still getting a classy look. Use your facebook, twitter, Instagram, blog, and whatever else you’ve got to ask people if they have any of the things you need that you could borrow! Especially ask your friends who might’ve just gotten married or had a recent wedding in their family. They will be the first to understand just how stressful wedding planning can be and will most likely offer whatever they can to help out yours. 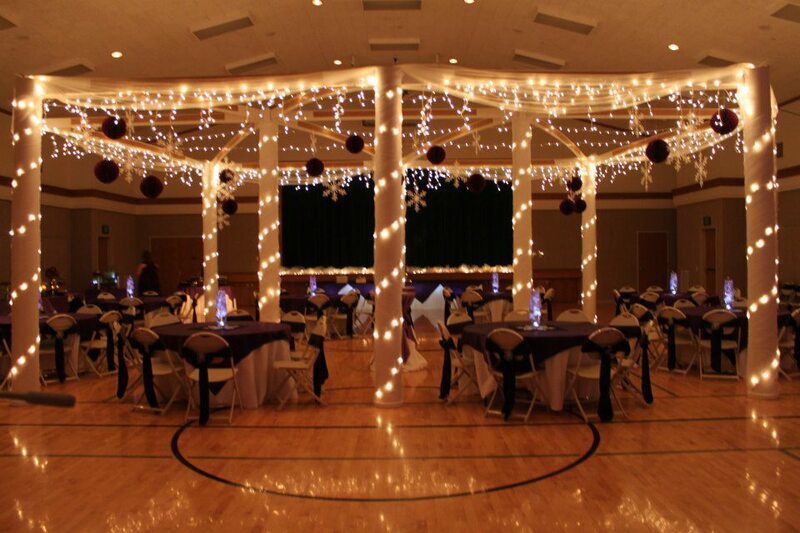 I would say about half or more of my wedding décor was borrowed from friends, neighbors, and people in my ward. You’ll be surprised just what people may have to offer. See this AMAZING hand built canopy/gazebo we had at our reception? Ya, we totally borrowed it from the nicest people ever! 2. Avoid paying full price whenever possible. Get cash back on ALL of your wedding purchases. Trust me, you want to take the time to set this up before you buy ANYTHING for your wedding. Use a credit card with good points on all of your purchases. Double your cash back by also using your ebates account for everything that you buy. Ebates averages anywhere from 2-10% cash back for most online retailers, and the average wedding costs $30,000. Let’s say you shopped at an online retailer for your wedding supplies and you got 5% cash back…that’s a potential of $1500 extra cash in your pocket (and that doesn’t include your credit card rewards). *When you sign up for an Ebates account, make sure and download their bookmark tool so you don’t ever forget to activate your cash back. I know some people are against hobby lobby, calling it the wal-mart of craft stores, but it seriously saved me so much money on wedding décor! They have 50% off sales going all the time, especially on their floral and wedding stuff. If what you’re buying isn’t currently on sale, ask a sales associate when the sales will change next and come back again during that time. I even bought stuff one week, realized a couple of weeks later that it was on sale, and they let me return it for the discounted price! I would get so overwhelmed during the day trying to balance everything and hold a billion different conversations at one time that by the time I went to bed at night or spent time with my fiancé, my mind was still going a million miles an hour on wedding planning mode. Set apart a time each day that is meant purely for you to think of other things besides wedding and let your other “planners” know about it so they can respect that. It seems like as soon as the question’s asked and the ring is put on, the wedding planning begins, and the less quality time you get with your soon-to-be-spouse. Make sure to set apart time with your fiancé that is totally free from wedding planning so that you can enjoy this part of your relationship together! My mom, in the very beginning, had us all sit down together (me, my fiancé, my parents and his parents) and voice what was most important to each of us about the upcoming special day. It was really nice to know what was a big deal to each person in the very beginning so that we didn’t have any huge arguments during the actual planning process. Opinions. Everyone is going to have one about just about everything. Be sensitive to others opinions but don’t be a pushover if it’s something that’s important to you. I am such a people pleaser sometimes and am always worried about stepping on others toes or stirring up contention. The people who are helping you with your wedding are usually those who are closest to you and who know your personality. I learned that the people who were helping with mine sometimes struggled expressing their ideas and opinions because they were worried about me saying one thing, but thinking something totally different. If you’re like me, be as upfront as you can about what you like and don’t like so that the people helping you can get a better idea of what your imagining. If your personality it a little more headstrong, let others know the things you absolutely won’t budge on and then be sure to let them in on some of the things that are less important to you. 7. Carry a notebook and pen with you everywhere! You’ll most likely have things come to your mind all the time; one second a thought will come and the next, they’re replaced with something else. It will be super handy to have something always on you that you can jot each of your thoughts down on right when they come. This will also help with keeping your mind from feeling like it’s going to explode with all the things it needs to remember. How have you made wedding planning less stressful?